I spend a lot of time reading, thinking, and writing about unions and other labor issues. I also spend a reasonable amount of time drinking with my friends, particularly on weekends, and especially on holiday weekends. When combined these activities lend themselves to speculation about which of the beverages I consume are union made. The answer: a surprising number of them! So, in honor of the July Fourth weekend I’ve thoughtfully compiled a list of economically just — and mostly cheap beverages — for all your holiday drinking needs. To my knowledge, there are three major unions in the world of alcoholic beverages. The United Autoworkers (UAW). Highly ironic. International Association of Machinists and Aerospace Workers (IAM). The United Food and Commercial Workers (UFCW). Unsurprising. The number of union made alcoholic beverages is quite extensive so I won’t attempt to list them all here. If you’d like to do more research on your own, check out UFCW’s home page. The rest of the info comes from this bizarre little website, masterminded by an International Association of Machinists member and a contributor to the far-right website WorldNet Daily. Contrary to the bird’s eye view of unionism, there are a fair number of committed conservatives in the labor movement’s rank and file. The big surprise here is Budweiser. I’d always assumed Bud was too Red State America to be union and they also don’t feature the “Union Made” label, unlike Miller products or the Miller-brewed PBR. 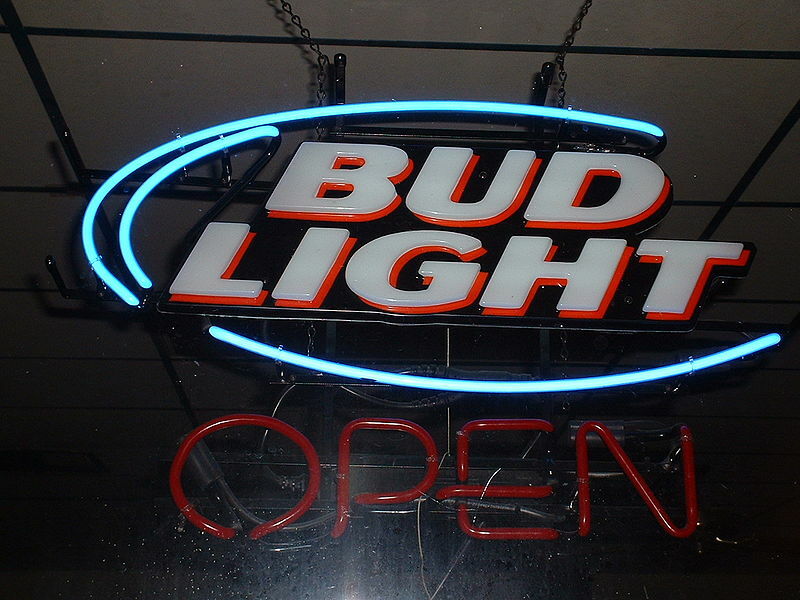 But it turns out Bud and Bud Light are manufactured by hard-working union members. Good news for socially-conscious bourbon drinkers too. Almost every bourbon I’ve ever tasted has an organized workforce behind it: Knob Creek, Jim Beam, Windsor, Wild Turkey, Ancient Age, Evan Williams, Kentucky Gentleman, Old Crow, Old Fitz; the list is nearly endless. Only Jack Daniels and Makers Mark are noticeably absent. Let the Mint Juleps flow! For gin, Seagram’s and Gilbey’s are on the level. If you want Tequila, scrap your ideals. I’ve never even heard of Herradura Tequila, one of the few on union-made lists. That can’t be a good sign. What ever you do, steer clear of Coors or Coors-made products (including Blue Moon). As Annika Carlson described a couple years back, they’re just plain evil when it comes to workers’ rights. The Coors family even had a hand in founding the Heritage Foundation, one of the most conservative, and most ridiculous think tanks in Washington, D.C.
Granted, there was a Coors/Miller merger in 2007, which hasn’t yet made clear which products are union-made and which aren’t. Still, it can’t hurt to look for the “Union Made” label on the can. Jake Blumgart has been a staff writer for Campus Progress. He is a writer and blogger for Seattle’s alternative weekly The Stranger and other publications. His musing on beer is published here with his permission.. The UAW magazine recently featured an article that noted that most Coors beer brewed east of the Mississippi is now produced by UAW members. But even those cans and bottles don’t have a union label, so there is no good way to tell. Bud/A-B products are produced by Teamsters, not IAM. Avoid Yuengling — they pressured their workers to decertify the Teamsters two or three years ago..
YUENGLING might be non union, but it is a AMERICAN owned company, UNLIKE AB that is owned by a Belgian-Brazilian company. I would rather buy a Belgian-Brazilian beer than give my money to a brewer who is giving his profits to right to work(or right to work for less) causes! Yuengling is an ati-union conpany! Do not support thier brewery! Herradura Tequila is pretty common and pretty good, as is Jimador, which is also on the list. What’s the difference? None that I can tell. For craft beer lovers, Red Tail Ale and other beers made by the Mendocino Brewing Co. are made by Teamsters. Also, the teamsters should certainly be noted as a major Brewery union given their representation of all Anheuser Busch breweries. (1) A-B has locked out its Teamsters drivers in St Louis for at least a year, and of course is now owned by a Belgian brewer. Check with IBT on this one. (2) Coors may have bought MIller — check that, I’m not sure you’re correct — but I know that Coors has been bought, by Canada’s Molson, which is union. The change also showed up in their politics: In ’08, there was a right-to-work referendum on the Colorado ballot and Coors came out AGAINST it. would love to hear more about which craft beers are union. Miller is part of SABMiller, formed when South African Breweries bought Miller. Coors is now part of MolsonCoors. Anheuser Busch was acquired by the Belgian/Brazilian conglomerate InBev in 2008. The Teamsters have an excellent national contract with Anheuser Busch and are in fact the largest brewery workers union in the USA. The Teamsters successfully defended their members’ rights at Anheuser Busch during the traumatic period when it was sold to InBev. I’ve gotta share this with my union buddies. Some serious, but responsible drinkers. I’m pleased to learn that Budweiser is union. Here I’ve been sticking to PBR, Miller High Life, and Icehouse because they put the union label on the can – why on earth doesn’t Budweiser? The Schell’s Brewery in New Ulm, MN has workers represented by the Steelworkers. http://www.schellsbrewery.com/ Good beer too. They now brew the Grainbelt Premium label and have a newer one called Grainbelt Nordeast which is very good if you can find it outside Minnesota. My chapter of the Young Democratic Socialists several years ago promote PBR. Our slogan was “Labor Yes, Sober No.” Pretty fun. I miss college. For the guy who can’t tell the difference between socialists and communists (and obviously didn’t have the intelligence or initative to follow the link provided by Duane) the major difference is that communist tend to want government control of industry and one party rule, whereas socialists want worker-own or democratic workerplaces (hence our support of free trade unions) and a commitment to multi-party democracy. That is a very simple, but pretty basic, difference between the two. Thanks have a nice determinations. Do you know of any trade union pubs or bars on NYC?